Cingular Wireless Corp. promised to provide uninterrupted service to AT&T Wireless customers when it acquired that company in 2004, but instead it nickel-and-dimed them and degraded their reception in an effort to persuade them to sign new contracts, a federal lawsuit said. The lawsuit, which alleges breach of contract and violations of consumer protection laws, seeks class-action status on behalf of the more than 20 million customers AT&T Wireless had at the time of the merger. Many paid $18 "transfer" fees to switch to Cingular plans and were required to buy new phones or pay other fees, said the complaint filed Thursday in U.S. District Court in Seattle. "Everyone who signed an AT&T contract had their service degraded," attorney Mike Withey said at a news conference Thursday. 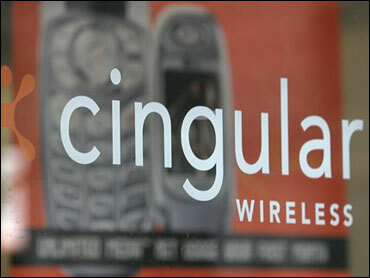 Atlanta-based Cingular acquired Redmond-based AT&T Wireless Services Inc. for $41 billion in October 2004, and promised in advertisements and news releases that the customers of both companies would see uninterrupted and even improved service as a result of the "combined network." Withey argued that instead, Cingular stopped maintaining AT&T Wireless network facilities. In addition to the accounts of his clients, he cited news articles in which industry analysts said Cingular appeared to be investing little or nothing in the AT&T Wireless network. That breached the contracts AT&T Wireless had with its customers, he said. Cingular spokesman Clay Owen said Thursday the company had not had a chance to review the lawsuit. He acknowledged the company eventually plans to phase out the older cell phone technology used by the AT&T Wireless network, called TDMA, but insisted that it is still maintaining that system for now. The overwhelming majority of Cingular's 55.8 million customers use a newer GSM system, and many companies no longer make TDMA-compatible phones, he said. Cingular spent $6.5 billion on network improvements and integration last year, and has budgeted the same amount this year, Owen said. He did not have figures for how much of that was spent maintaining the AT&T Wireless network. One plaintiff, Amy Frerker, a 28-year-old Seattle architect, said that shortly after the merger she began noticing that she no longer had cell reception in areas she once did. Over the next year and a half, she said, Cingular told her she would have to sign a new contract; live with her current cell service, which was being phased out; or pay a $175 termination fee to get out of her contract. Finally, last week, the company let her out of her contract without charge, Frerker said. She switched to T-Mobile. "On my commute to work I started to notice I was getting more dropped calls," she said. "It's like purchasing a Mercedes and getting a Hyundai." Last month, a California state appeals court upheld a $12.1 million fine against Cingular for signing up customers faster than it could provide service and for imposing hefty cancellation fees without a trial period. The court also said Cingular must refund up to $10 million to people who were forced to pay as much as $550 to cancel their contracts. Five of the seven named plaintiffs in the Seattle lawsuit are California residents. The lawsuit, based on complaints received by the Foundation for Taxpayer and Consumer Rights in Santa Monica, seeks up to treble damages for fees and charges paid by the AT&T Wireless customers.